To say I was surprised when I laid eyes on the 2019 Strive is an understatement. Of course, we’d had an inkling that we would be meeting the updated Strive in Malaga, but this is not at all what we were expecting. 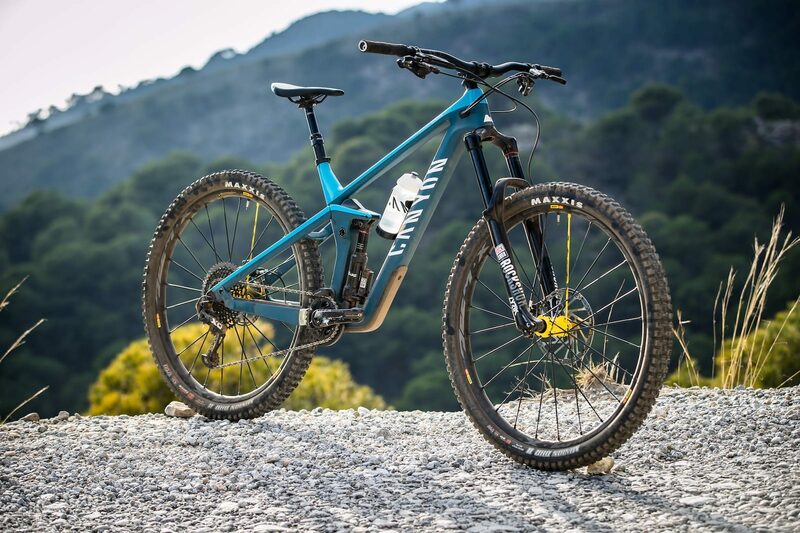 Since the release of the Sender DH bike, Germany’s Canyon Bikes has been rolling out redesigns of its most popular suspension models, all featuring a similar suspension layout and Canyon’s own Triple Phase kinematics. 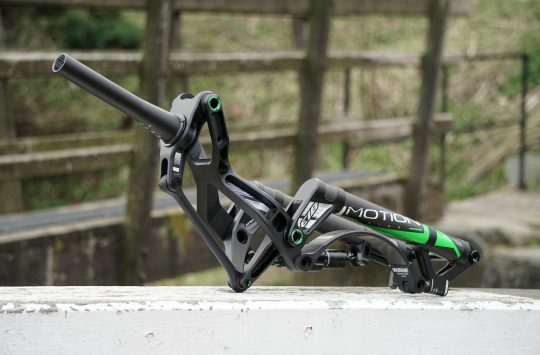 After the Sender came the redesigned Spectral and relaunched Torque, with a similar ‘Signature’ design – something we all expected would continue with the MK2 Strive. But as you’ll see, this hasn’t been the case. Same name and overall shape, but the 2019 Canyon Strive is all-new from tyres up. 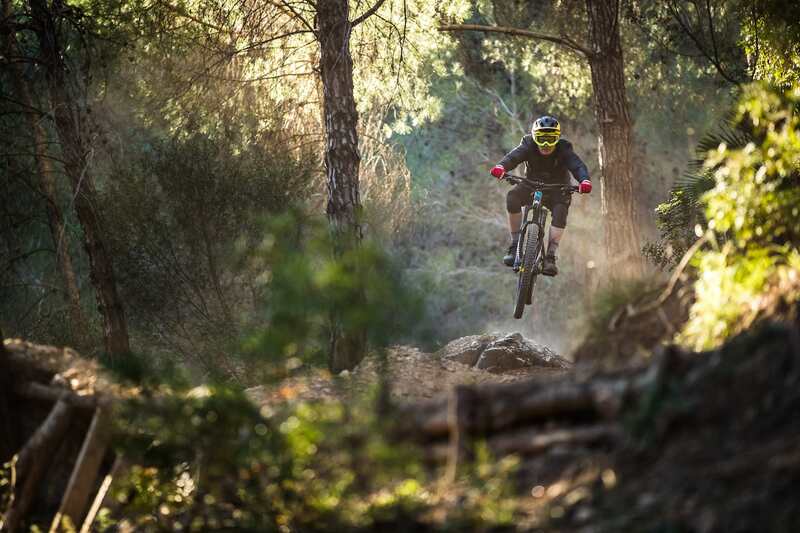 The new Canyon Strive is unmistakably a Canyon Strive. 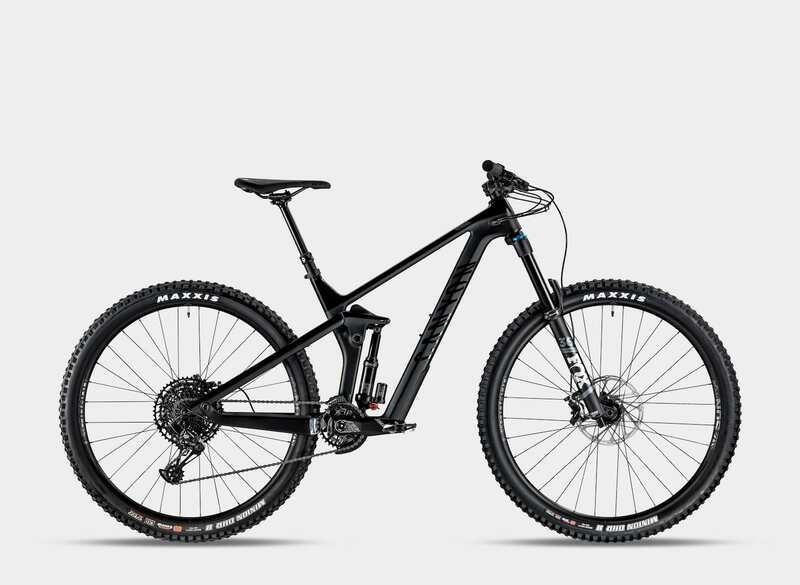 The silhouette is almost the same, it has a similar shock location, and its main distinguishing feature from other enduro bikes remains, although much improved. More on that below. In fact, to the untrained eye, the new Strive might slip under the radar, that is until you place it next to the previous version. Available as a carbon 29er only. While both bikes have a similar layout they are years apart. It’s a bit like looking at an original Honda CRX then a Honda CRZ – they look kind of similar, until you actually see them together and then one of them looks radical and racy, and the other a little long in the tooth (ok, not quite the best comparison, the CRX is still amazing to look at after all. But you get the idea). 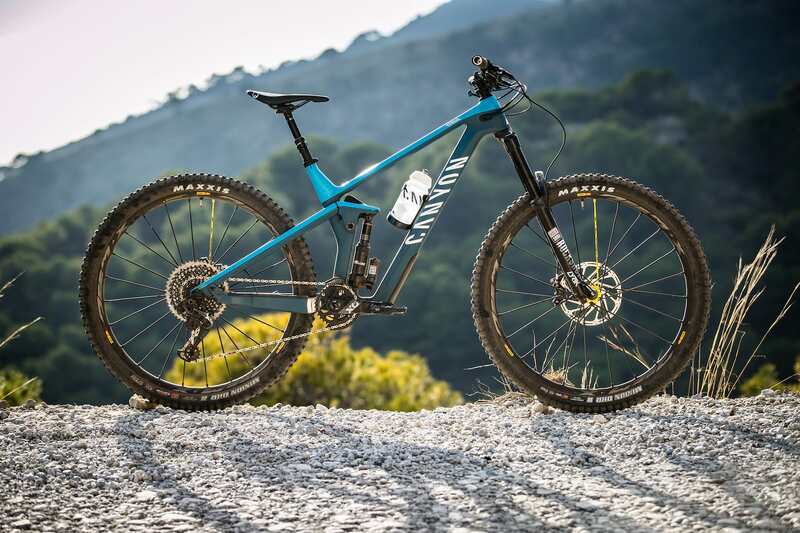 So after the initial shock of the Strive still, well, looking like a Strive, we delved deeper to see what exactly had changed and why it has taken so long for Canyon to refresh its EWS slayer. Shapeshifter has been given a major overhaul for 2019. 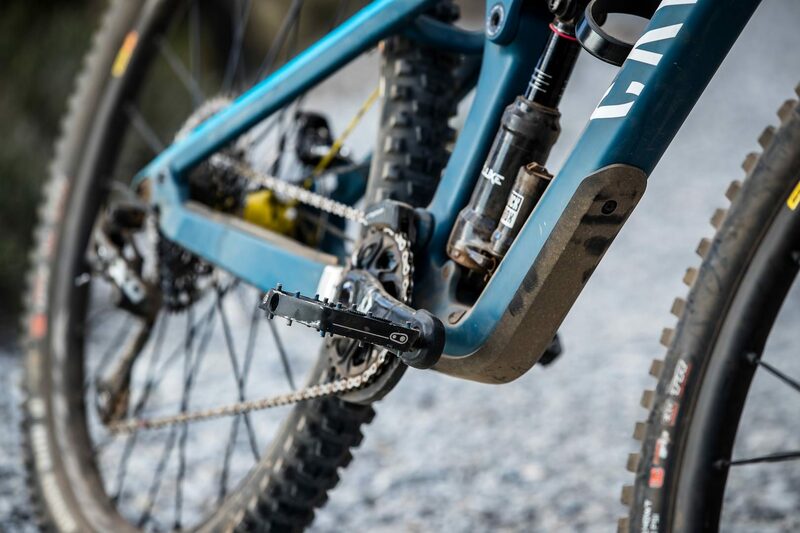 One of the major changes is the new Shapeshifter system, which uses components now manufactured by Fox Racing Shox. But before we get on to that let’s look at the frame material. The new Strive looks like the old one which is a surprise. Canyon will offer the Strive in either carbon or…carbon. This is a change from the previous model that came in both alloy and carbon. The two carbon framed bikes are distinguishable by their names; CF for the ‘base’ version that comes as a complete bike with 160mm forks, and CFR which is the ‘race’ version of the bike, the model we rode in Spain, that gets 170mm forks as a complete bike and has a frame weight that’s 300g less than the CF variant. Both versions of the new Strive get the same 150mm rear wheel travel in DH mode, which drops to 135mm when set in XC/climb mode. 2019 Canyon Strive CF 5.0 costs £2,699. Now carbon usually equals expensive, and it does, but the entry-level Canyon Strive CF 5.0 built up with RockShox suspension, and SRAM 1×12 groupset will set you back £2,699. Not exactly pocket money, but once you add those components up you soon realise that it is in fact, a pretty sharp deal. If you have all the money you could get a bike like this for £6,349. If you’re feeling flush then you could go for a CFR 9.0 Team edition bike like the one we tested for £4,999, which features the same kit Canyon’s EWS team is racing on in 2019. An even pricier CFR 9.0 LTD will be offered with Fox suspension, Chris King hubs and ENVE rims for £6,349. 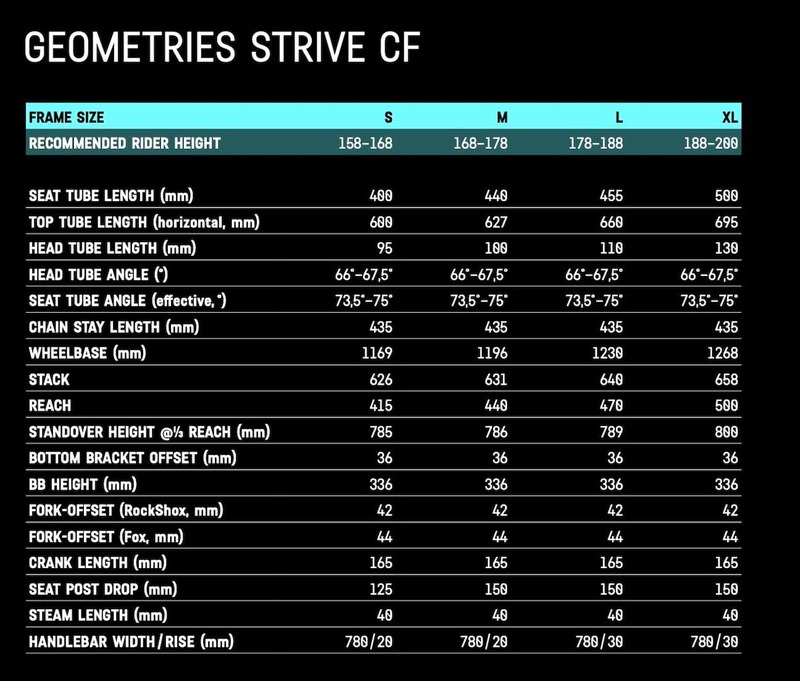 In total there are six models to choose from to suit various wallet sizes, and there’s a CFR frame only option too, which happens to sell for the same price as the complete Strive CF 5.0! Downtube protector to fend off rock strikes. Canyon tells us that if it was to build an alloy bike with the same features, the same strength, and at the same weight, there wouldn’t actually be much difference in price between it and the carbon frames. With that in mind, and given the market’s general preference for carbon fibre, there was apparently little incentive for Canyon to offer an alloy frame option. So there you go. Threaded BB for the win! Canyon hopes that the design of the new Strive, along with the pricing will help to differentiate models in the range and help to avoid confusion for customers. 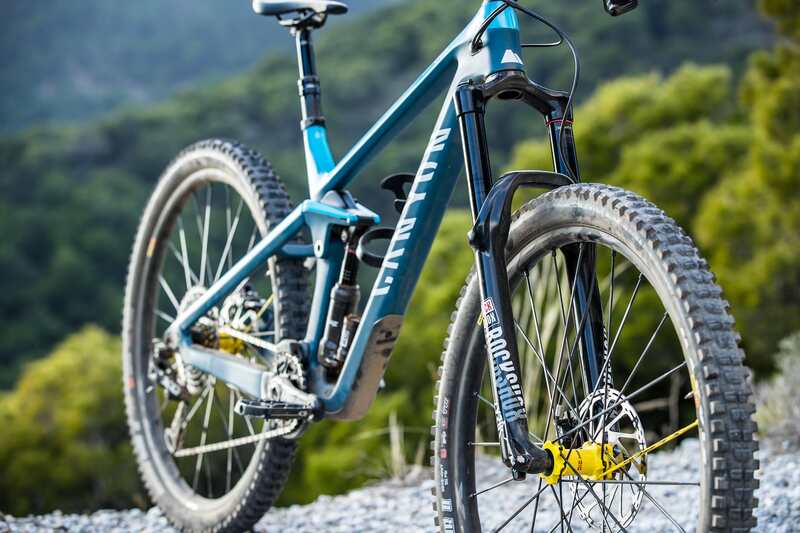 This is probably why it isn’t likely we’ll see a Spectral 29er in the near future and why the new Strive comes only as a 29er. 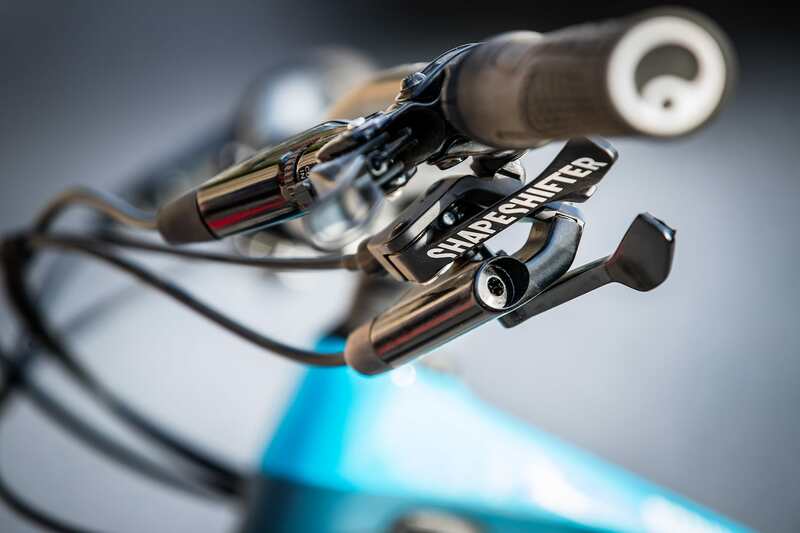 Canyon has spent a lot of time getting the new Shapeshifter lever right. Canyon wasn’t the first manufacturer to play around with the idea of on-the-fly adjustable geometry and suspension (a system that puts you in a steeper position for the climbs and a slacker one for the descents), but alongside Scott and Cannondale, it is one of the few manufacturers to continue to develop the system. 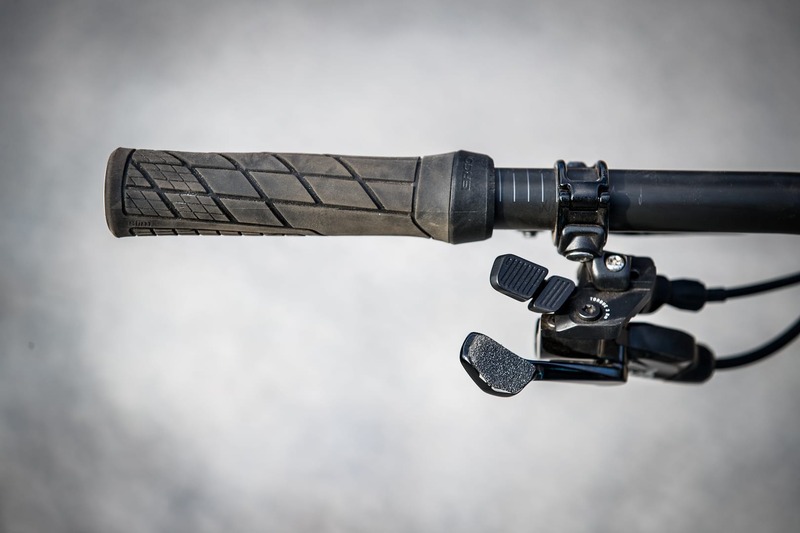 The original Shapeshifter featured on the first Strive used a system that would steepen the head angle and increase the BB height at the touch of a lever, then reverse that transformation with another click. But it required timing and an unnatural body movement and weight shift in order to get it to work. An inside view of Shapeshifter 2.0. 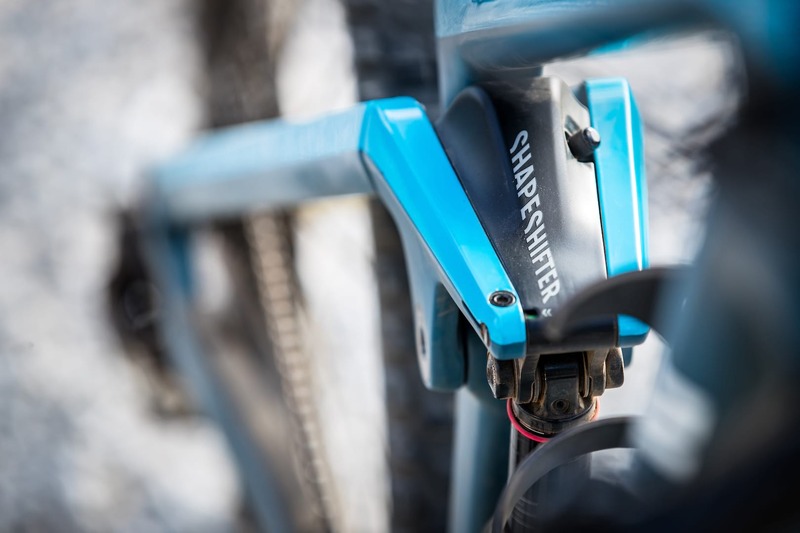 Canyon worked with Fox on the updated Shapeshifter. For 2.0, Canyon took a long look at some of the complaints and comments of the original system and attempted to fix not just some of them but all of them. 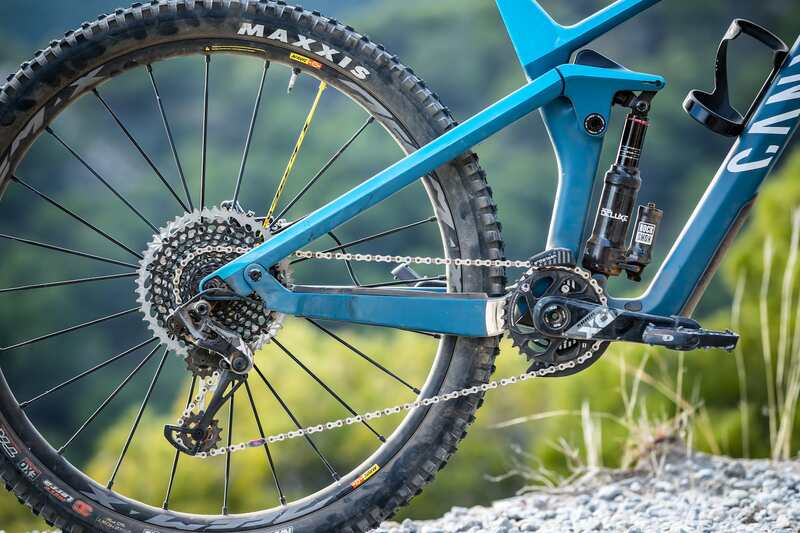 Canyon teamed up with Fox for Shapeshifter 2.0, with the suspension gurus helping with the development of the short piston that changes the suspension travel and actuates the shift in geometry. If you hadn’t already realised, Fox is pretty good with putting together suspension components, so it seem like a pretty logical partner. 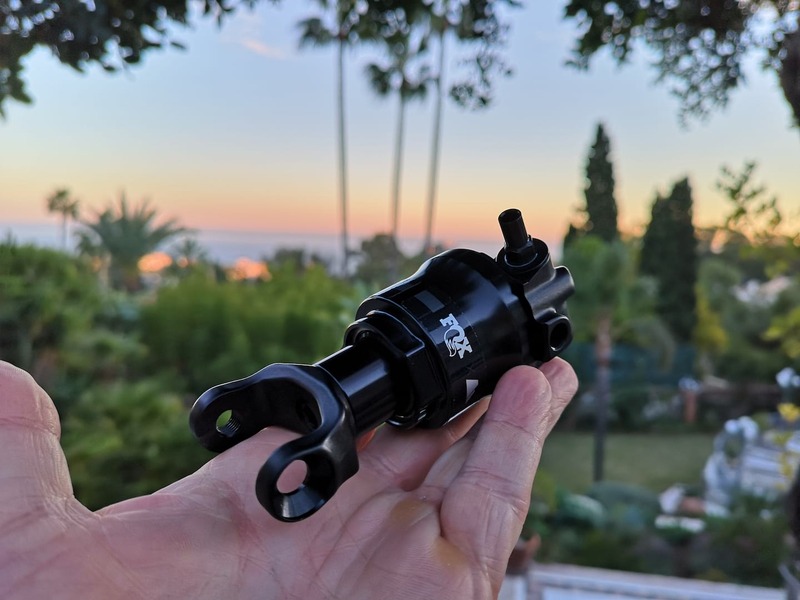 Not only did Fox help with development, but it also takes care of the manufacturing of the short shock and Fox will even handle servicing and warranty on it too. With the squishy side of the Shapeshifter being handled by a trusted manufacturer, Canyon turned its attention to the kinematics of the system. 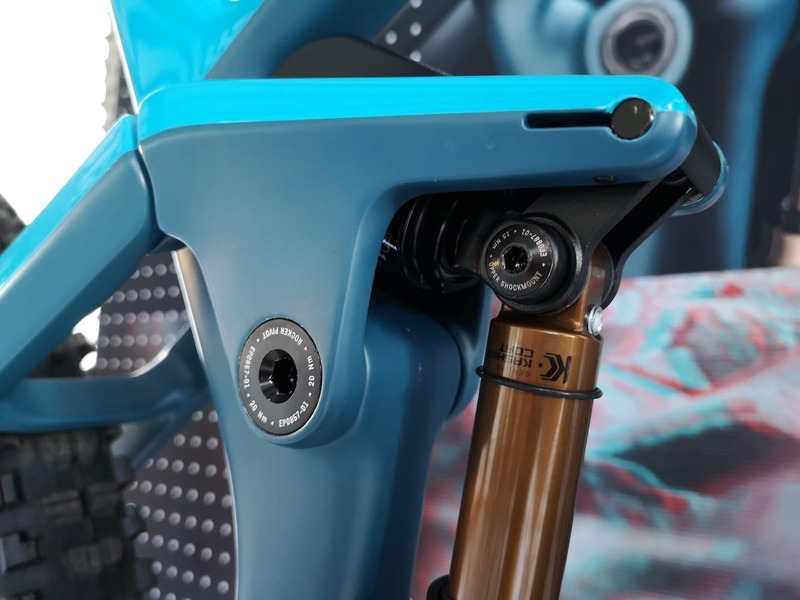 The redesigned linkage means that Shapeshifter 2.0 slackens the Strive’s head and seat angles by 1.5° when set in the DH position. A small indicator window lets you know what mode you’re in. That’s pretty similar to what the original system did, but now the whole system works seamlessly, with very little input from the rider. The new system no longer requires an awkward weight shift to activate, and because the low-pressure Fox piston and updated kinematics handle the geometry shift, you also don’t need to worry too much about where and when you want a geo shift. 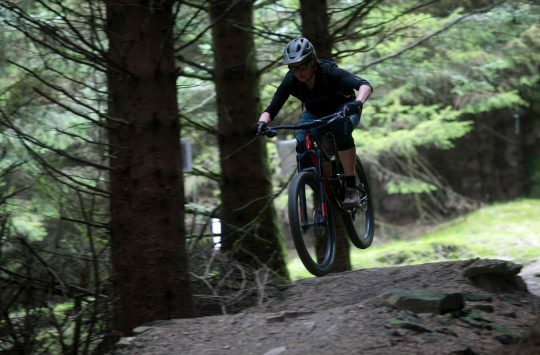 For example, with the original Strive you could climb up a fire road in XC mode, then before you wanted to descend you would need to hit the Shapeshifter lever, make a deliberate weight shift to the rear of the bike, and only then could you focus on the fun stuff. This is the Strive in DH mode. The new system doesn’t need any of that though. 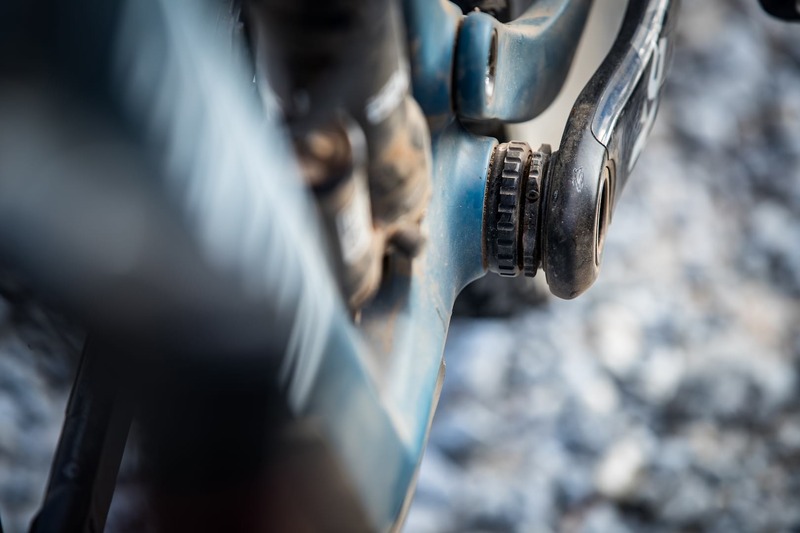 The Fox manufactured piston and new linkage don’t require that rider movement, and instead can use hits through the rear suspension to readjust automatically depending on the setting you’ve chosen. The new system is faster, easier to use, and allows you to maintain flow from one trail feature to the next. It also means you can play around with it on the flat, or when pumping through berms and bumps, something the old bike wasn’t capable of. 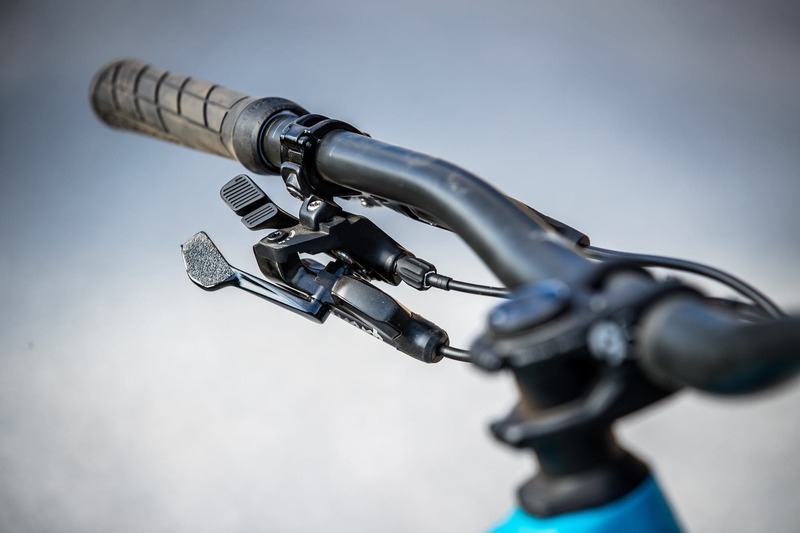 The Shapeshifter lever works with the Reverb 1x remote and most popular cable levers. Still more controls than we’re used to, but at least it’s all below the bar. 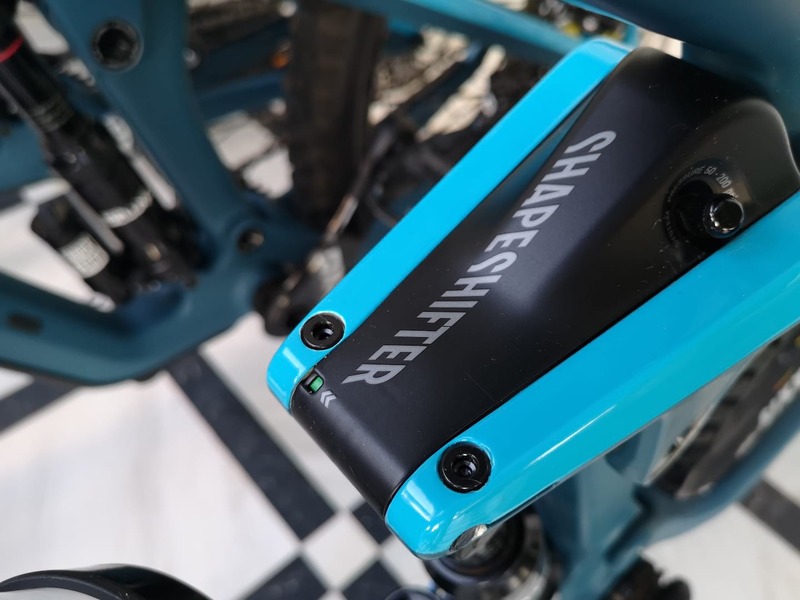 It gets better, as the new Shapeshifter lever is an underbar design and is compatible with SRAM’s Matchmaker system, meaning that you can fit a 1x Reverb remote beneath it. 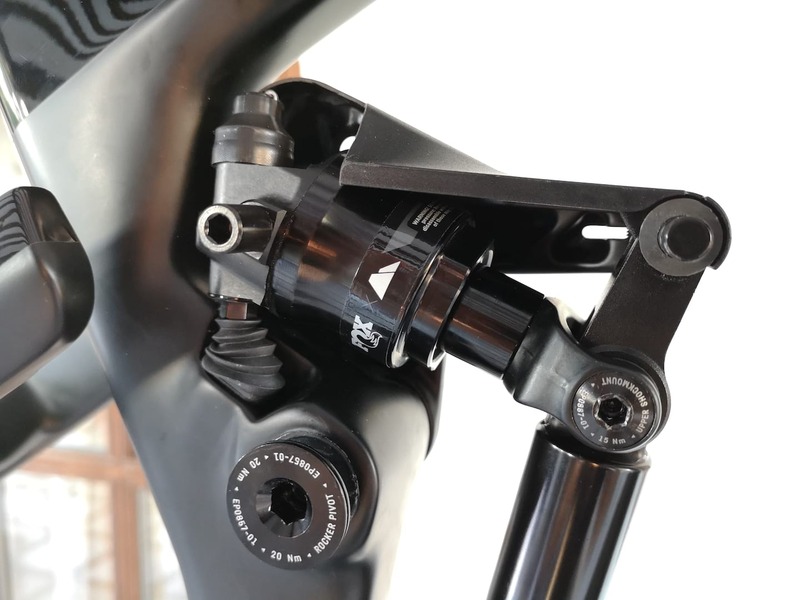 It will even allow you to mount some popular cable operated dropper posts too. This means that you end up with a lever that looks like a larger front derailleur shifter, only with a 3rd dropper lever underneath. It’s easily the neatest solution we have seen by far, and we hope other manufacturers take note. *ahem* Scott, we’re looking at you. 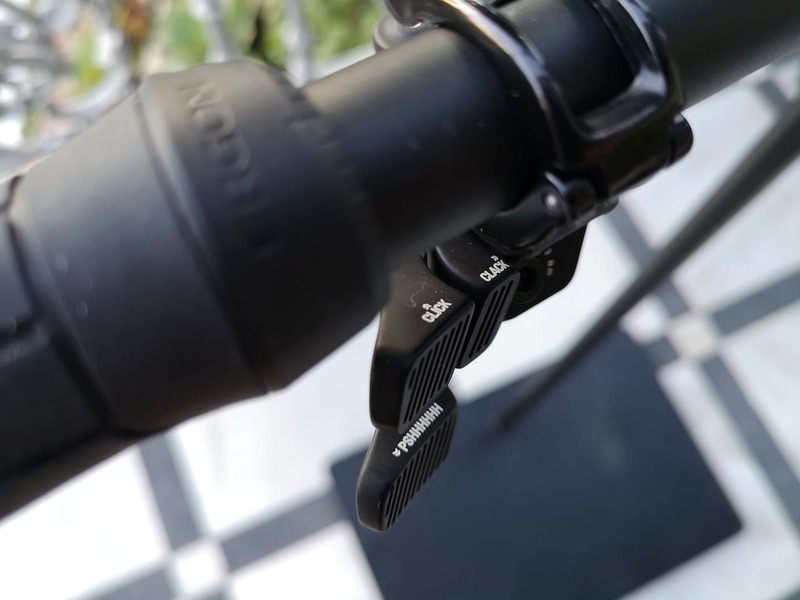 As soon as you tap the lever, it’s evident that Canyon has put a lot of time and effort into the new control. Rather pleasant, audible Click and Clacks are emitted from the lever when activating and deactivated ShapeShifter 2.0, it’s one of those mechanical movements that are so precise, and accurate, that it’s actually quite satisfying to play around with. Click, clack, click, clack. It’s become the norm that bike manufacturers won’t give the geometry details to media before they’ve actually ridden a bike. The idea being that the brands don’t want to plant any seeds and give us media types a reason to “poo poo” a bike because it isn’t long enough or slack enough. Our test bike had a 42mm offset Lyrik. Fox equipped bikes have a 44mm offset. So before I give you the numbers I’ll tell you that at 178cm I was given a size large bike to rag around Malaga. As soon as I threw a let over it I was impressed by the standover height, and I didn’t feel that the 2019 Strive was too short. On the other hand I didn’t feel that the bike was overly long either. In the spirit of Goldilocks, the sizing actually felt just about right. After a full day of riding the bike around the rocky, dusty and jumpy trails of Southern Spain I still feel that the sizing is spot on. And now that I’ve seen the numbers I can see why. This size L bike has a reach of 470mm. 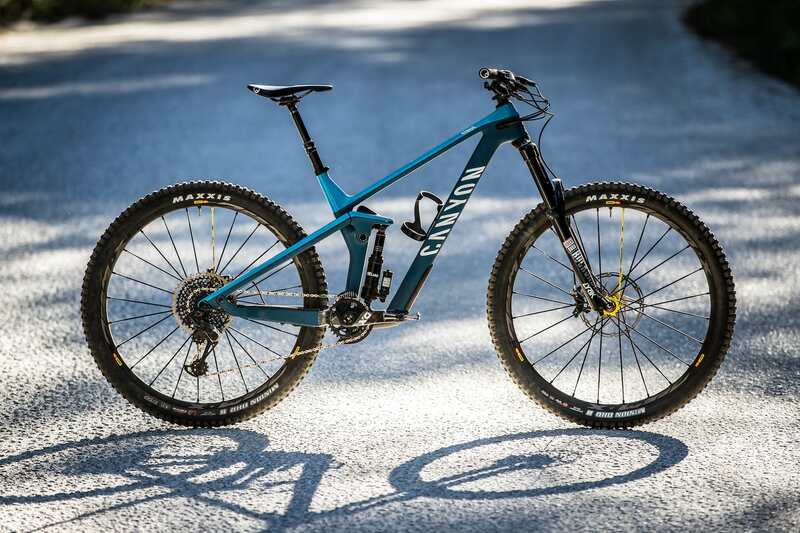 For the 2019 Strive, Canyon has really pumped up the geo and we’re looking at a bike that is considerably longer than the previous generation model – longer than anything else in the 2019 Canyon range actually, but it isn’t overly slack. The Large frame I rode has a reach of 470mm. That’s the same as a medium frame Mondraker Foxy 29er, and 5mm shorter than my own size L Transition Scout. Because the Strive’s head angle is just 66° at its slackest though, it doesn’t feel as long as those numbers suggest. Maybe the shorter offset fork plays a role here too. 2019 Canyon Strive geo chart. Other important numbers include the 67.5° head angle and 75° seat angle when the Shapeshifter has been set in the XC mode. This helps to push your weight and riding position forward on the bike, which should make for more comfortable and efficient climbing. Every size of the 2019 Canyon Strive has 435mm chain stays, but Canyon does give the size L and XL bikes slightly taller 30mm rise bars, and every bike has a 150mm dropper except the small frame which has a 125mm drop post instead. First time on the Strive and straight into the air. Andi’s travel and accommodation were provided by Canyon. I mean, are you a journalist or just some guy who was deliverin pizza at the moment Canyon called anouncing product launch? 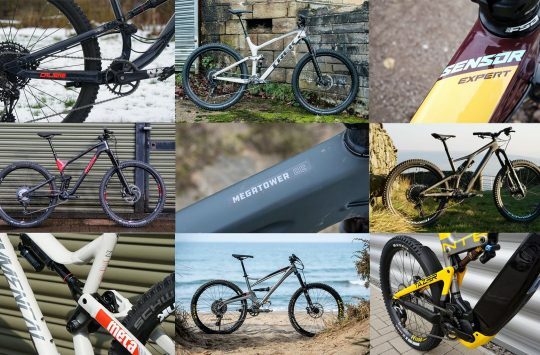 I stopped reading after “For the 2019 Strive, Canyon has really pumped up the geo and we’re looking at a bike that is considerably longer than the previous generation model” – for Budha sake, just fukin google it, before you post it, surley your deadlines can’t be that tight? Hope the rest of “the article” is much better!